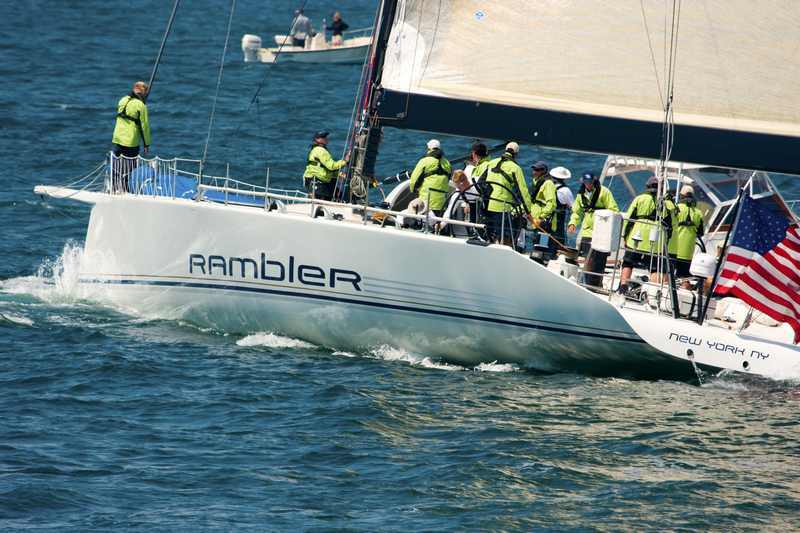 George David’s 88-foot Juan K design Rambler 88 led a breakaway pack to take elapsed time honors in the Newport Bermuda Race. Rambler finished today at 7:20pm Bermuda Time, covering the 635 nm course in a time of 02:03:00:15. As of 6:00pm Bermuda time, the Volvo Open 70s Warrior and Wizard were within 58nm of the finish with the Maxi 72 Proteus 20nm astern.